Andre Artmann provides multiple services to treat a wide range of symptoms. Traditional Japanese Acupuncture is the art of using ultra fine needles to treat physical and emotional disease by regulating the flow of Qi (energy) through the body. Needles are made from high quality Japanese steel and in most cases are not even felt by the patient. Through the use of pulse and abdominal diagnosis, traditional acupuncture aims to treat the root of the disease. Typically needles are inserted no more than 1-2mm resulting in a relaxing and enjoyable treatment experience. Consultations and Treatments are private one on one session in a relaxing atmosphere. Cosmetic Acupuncture is an effective way of looking and feeling better without the use of any chemicals. Treatments consist of placing very fine needles around acupuncture points and muscles of the face and body. Its gentle, effective, relaxing and best of all chemical and additive free. 100% Natural. Moxibustion is the ancient practice of using artemisia vulgaris (mugwort/moxa) on specific acupuncture points to treat a range of symptoms; Including musculoskeletal complaints, fatigue, digestive and respiratory disorders. The treatment does not aim to scar or burn, rather we use a range of applications in order to achieve the desired effect of gently warming and nourishing the body. Energetic Allergy Testing uses the Quantum Physics Theory; everything has a frequency. Through the use of a Vega Test Machine, an allergens frequency can be amplified into the patient identifying whether this “stresses” the body. Using this device we are able to painlessly and noninvasively test children to adults for a large range of foods and pathogens. 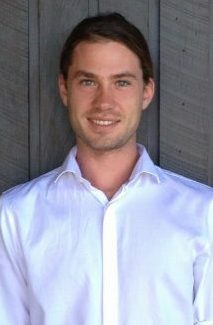 Andre Artmann has been practicing traditional Japanese Acupuncture and Energetic Allergy Testing for the past 10 years. He is passionate about providing the best health outcomes possible for each one of his patients. The unique combination of Eastern and Western medicine allows him to be able to treat a wide range of symptoms.